Home EDITORIAL Columns Dalton and Tessanne – Have we seen this before? If I asked you to remember something significant from 2013, what would it be? Perhaps you’ll remember something about Christmas, with it being that time of the year now and all, or perhaps you’ll remember your birthday, or your anniversary. But, how many of you will recall that in that year, in historic fashion, Tessanne Chin won The Voice? 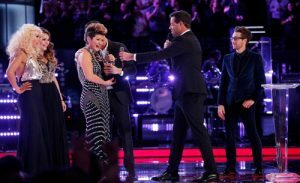 Yup, five years ago, Jamaica’s songbird won the US-based competition, and many felt like that feat would have been Tessanne’s boost to international stardom. Alas, it wasn’t. Chin’s talent is undeniable, and certainly warrants worldwide recognition, but for one reason or another, despite dominating the competition and knocking heads with the likes of Christina Aguilera, Adam Levine, Ceelo Green and Blake Shelton, she remains, in large part, a local talent. 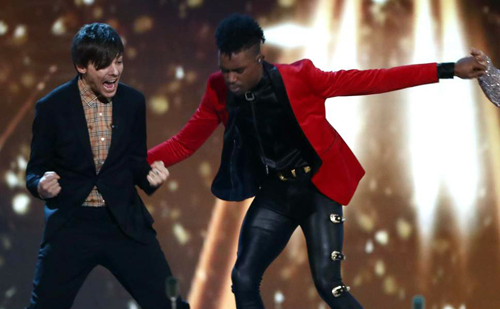 Enter Dalton Harris, the 24-year-old Jamaican signing sensation, who on Sunday won the UK-based X-Factor competition. Harris is the second Jamaican to enter ‘No Man’s Land’ and return bearing the ultimate prize. In other words, while Jamaicans are abundantly talented, it is always a spectacle to behold when a Jamaican enters such a space of top-notch talent, and unequivocally dominates right up and through to the end. Dalton convincingly won. Now what? As far as it extends to the perks of winning, you must have heard the many reports that Harris has secured over $160-million-Jamaican-dollars. That’s not quite accurate, and in some sense, borders false information. Dalton could make that much money, but it’s all dependent upon a few things. Instead of receiving the 1-million-pound past contestants to the competition have, Harris will instead be offered “…an initial advance of 150, 000 pounds for his first album [being that he has signed a record deal with Simon Cowell’s Syco label], according to the Sun. A third album could see the winner bag an advance of 315,000 pounds, and upwards of 400,000 for a fourth,” – The UK Sun. What this means is that Dalton could most certainly make that much-publicized 1-million-pound [which was only used as a clever marketing tool] but only if his expected albums under the label perform well enough. Those fine prints aside, there’s a lingering question to be asked – what will be Dalton Harris’ fate from this point forward? Granted, only he and his work can sufficiently give an answer to that question, but that doesn’t mean we can’t speculate. Firstly, though the two competitions are managed by different companies, Tessanne Chin and Dalton Harris winning The Voice and X-Factor, respectively, does have some interesting parallels, and if those are anything to go by, it would be a hard sell to say that we are optimistic he will blow on the international scene, notwithstanding our intentions of wanting him to. He is signed to Syco, Simon Cowell’s record label. In fact, almost all recent winners of the competition have signed to that label upon winning. That’s good and all, but here’s a real question: how many of these names do you know? Matt Cardle, Joe McElderry, Leon Jackson, and Steve Brooksteinx. None? I thought so. All those names mentioned are past winners of the X-Factor, who have all fallen into oblivion of some sort. Though they aren’t completely removed from the public eye, they more or less do not have thriving musical careers. With the exception of James Arthur (Say You Won’t Let Go), the other winners of the competition have succumbed to what many are referring to as the X-Factor Winners’ Curse’, where winners of the competition pretty much fade from relevancy. Interestingly, there’s a flip side to that dynamic. What do these names – One Direction, Olly Murs, and JLS – have in common? They all entered the X-Factor, didn’t win, yet reaped immense success. Save for One Direction, the other names may not strike that much of a chord, but their successes have somewhat created a perception that aside from publicity, winning the UK-based competition is not all it’s chopped up to be. Dalton seems to be somewhat aware of this. In an exclusive interview with DailyMail Online, Dalton said: “I don’t think winning guarantees anything and I also don’t think winning marks you with an ‘X’, which means, ‘Because you win, you will be successful or because you win, you will not be successful… I could leave here and never get a record deal and go back to cruise ships, fine. You honestly never know.” He’s right. You never do. Like Tessanne, Dalton had a few hits on the iTunes Top 100 charts, and even breached the Top 5. ‘The Power Of Love’, Harris’ winner’s single, which featured James Arthur, cracked the Top 5, and it pretty soon out-paced Ariana Grande’s ‘Thank You, Next’, Halsey and Lady Gaga and Bradley Cooper, and catapulted to number one. In much the same way, Tessanne Chin, though not through her winner’s single (which was performed with Ryan Tedder of One Republic), still managed to top the chart. Her rendition of Whitney Houston’s ‘I Have Nothing’ shot to the iTunes Singles Chart at number one, but only stayed there for 4 hours. Her other hit, ‘Let It Be’, which she performed with her then coach and Maroon 5 lead singer, Adam Levine, also cracked the Top 3. Even more importantly, Tessanne was generating the numbers. She was pulling in between 24,000 and 60,000 digital sales for those singles, despite being relatively new to the international scene. When she was crowned, all that was supposed to have translated into the success many were expecting. But it didn’t. Does the same fate await Dalton? In both artistes’ case, their talents were undeniable, but somewhere along the line, something went missing. The evidence supporting and the euphoria aside, Jamaican artistes who accomplish this most impressive feat of outlasting competitors perceived to be superior in the singing department is certainly cause for celebration, but if we’re being honest, there is a missing link and a cloud of uncertainty that looms over their futures the moment the euphoria dissipates. Tessanne Chin and Dalton Harris have proved to be two of our island’s most capable vocalists, and while it is a whole other matter as to why they have to be approved by international bodies first before our people recognize their value, they ought to be celebrated. More importantly, however, their careers are to be carefully observed. Dalton won’t be the last Jamaican to pull off that feat, just like Tessanne wasn’t the only one. There are lessons to be taken away, all in the hopes that we won’t just celebrate their short-term victories, but also that we will celebrate their illustrious careers. Harris’ story is still unfolding, and Tessanne’s has the potential to be revived any time she so chooses, but we have work to do. Hopefully, he won’t have to go back.